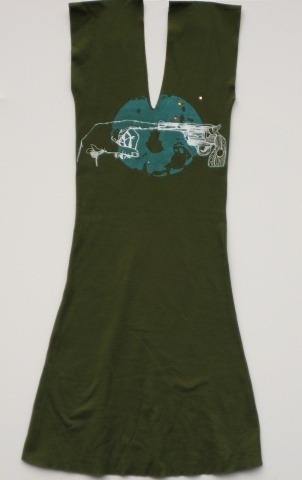 Army Green American Apparel Raw Edged Dress. Man vs. Machine Original Design. Glim Glam rhinestones are optional.